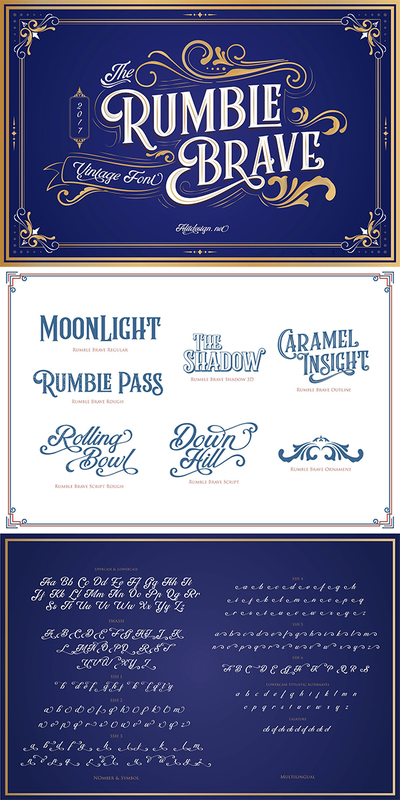 A hand-picked compilation of brush fonts and script fonts that can give more artistic look to you design. These brush and script fonts based on the expression of real handwriting. 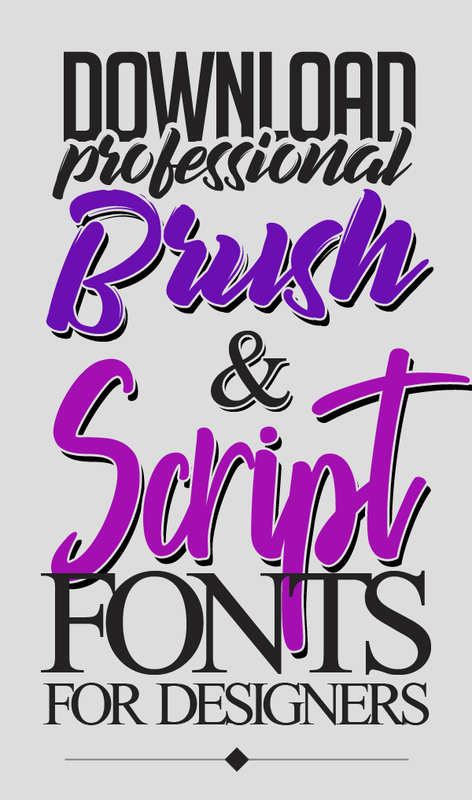 Brush fonts will work perfectly for fashion, e-commerce brands, trend blogs, wedding boutiques or any business that wants to appear upscale and chic. Script fonts Suitable for Logo, badges, greeting cards, quotes, posters, branding, name card, stationary, design title, art quote, typography, art, modern envelope lettering or book design, happening style like hand-drawn design or watercolor design theme, or any purpose to make our art/design project look pretty and trendy. These professionally designed typefaces and fonts can significantly improve your design by simply included them in the project you are working on. All fonts are comes with a different handy set of Opentype stylistic alternates, ornament, ligatures, multiple language support and extras. Rickies – Brush Font is an Brush font based on the expression of real handwriting. Rickies – Brush Font will work perfectly for fashion, e-commerce brands, trend blogs, wedding boutiques or any business that wants to appear upscale and chic. 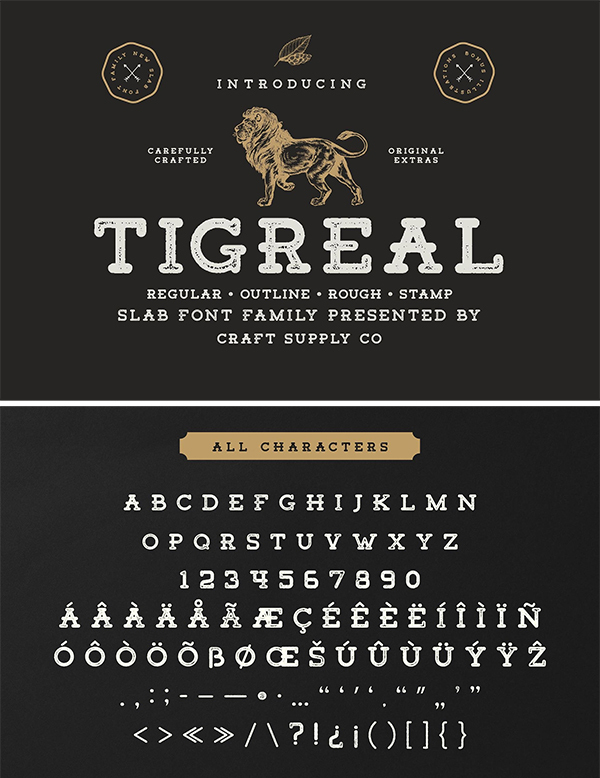 Tigreal Font Family + Illustrations includes 4 Style Fonts. It can be used to create almost all types of design projects like print materials. Just use your imagination and some graphic design set in Extras, your project will become more alive and look great than ever with one of the Tigreal Font. Introducing The Harmony – Condensed font family that includes three styles (regular, aged and thin). The Harmony is universal multipurpose font family. Use clean regular version where rigor and accuracy of design is required. How are you guys ? I’m sure it’s very good! Introduce, this is our product with the name MOGE Font. MOGE is a concept of touch of strength, retro and modern. 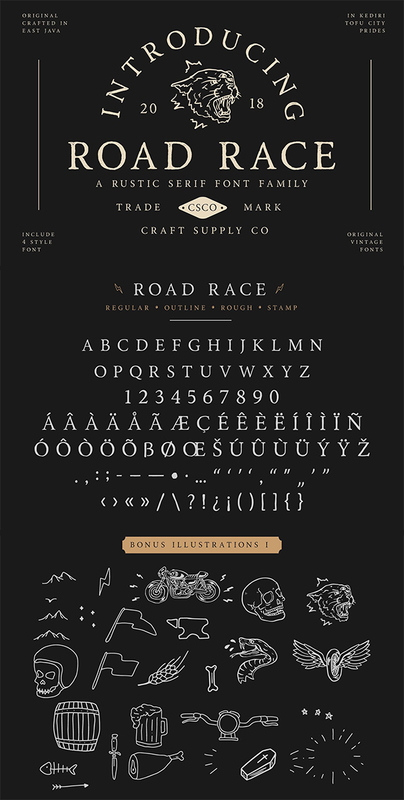 Road Race Font Family + Extras includes 4 Style Fonts. It can be used to create almost all types of design projects like print materials. Just use your imagination and some graphic design set in Extras, your project will become more alive and look great than ever with one of the Road Race font. 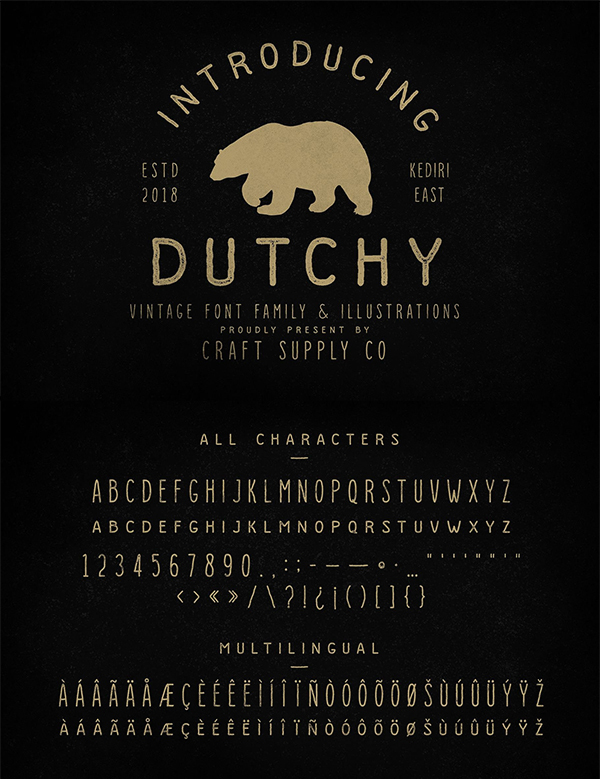 Introducing Dutchy – Vintage Type Family + Illustrations includes 4 Style Fonts. It can be used to create almost all types of design projects like print materials. Just use your imagination and some graphic design set in Extras, your project will become more alive and look great than ever with one of the Dutchy – Vintage Type Family. 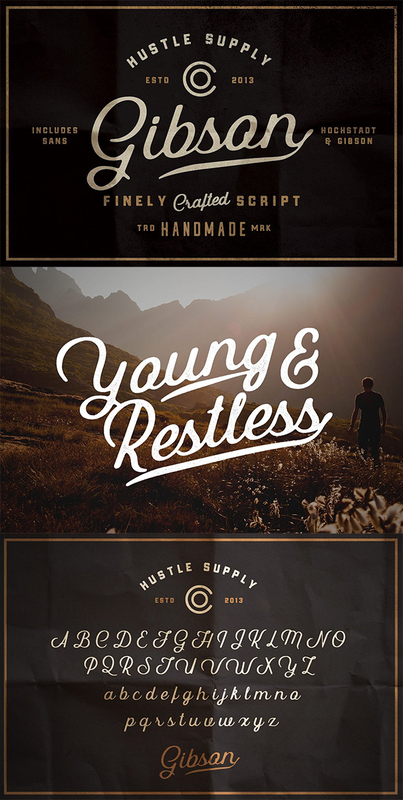 Morning Gold – Handwritten Font + Extra is an handwritten script font based on the expression of real handwriting. Morning Gold – Handwritten Font + Extra will work perfectly for fashion, e-commerce brands, trend blogs, wedding boutiques or any business that wants to appear upscale and chic. 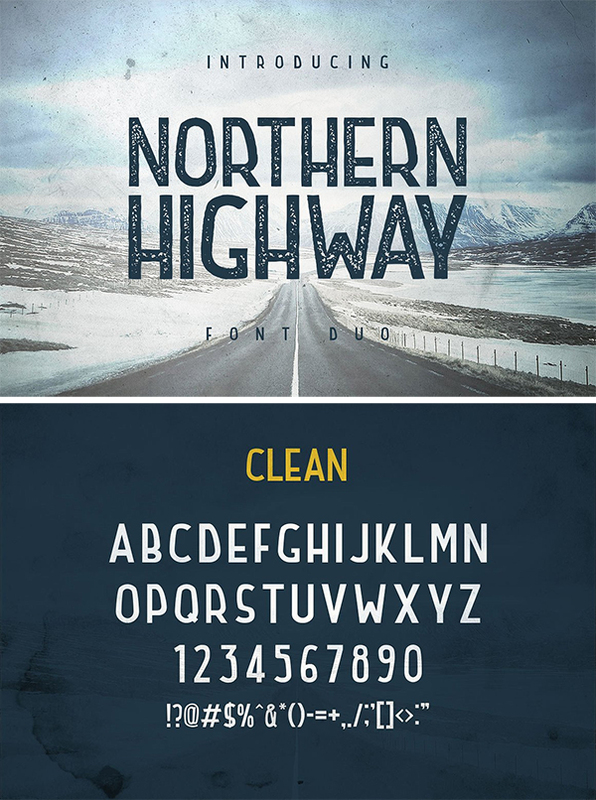 Old Pines Typeface is a sans serif font, it has a modern vintage look design styles. 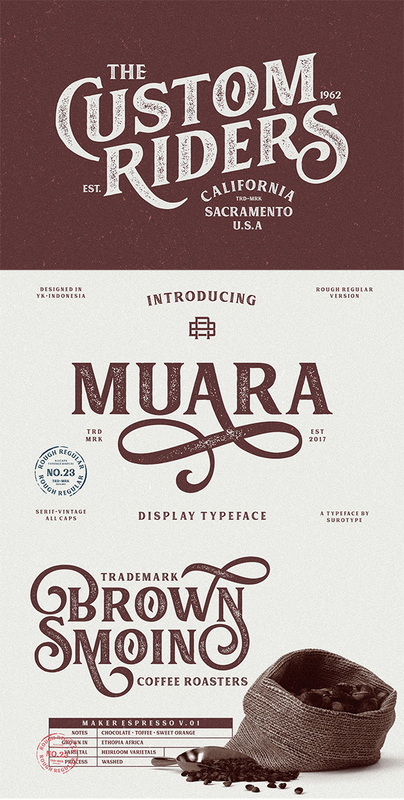 The font have smooth edges to simulate the look of an vintage printing, so it will bring a vintage handmade looked like. Berringer is a vintage sans serif family including Textured, Rough & Clean versions as well as Oblique versions of each. Berringer includes 6 OTF & TTF files within the Zip folder. 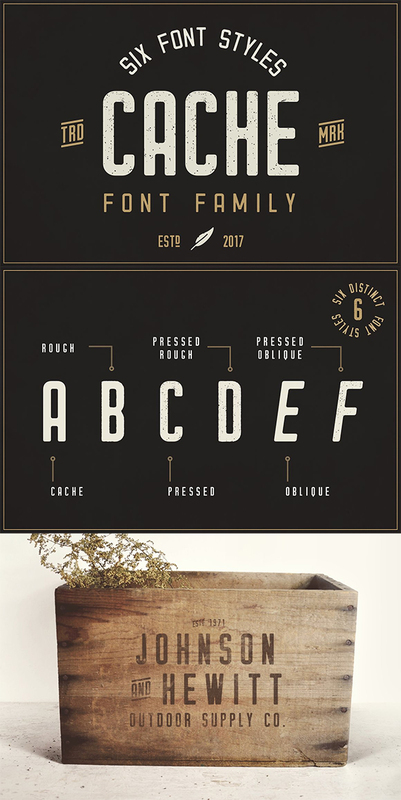 Just Launched my brand new fonts with vintage fonts, combining with chisel effect that inspired from some of pinstripe styling to make it more life ! 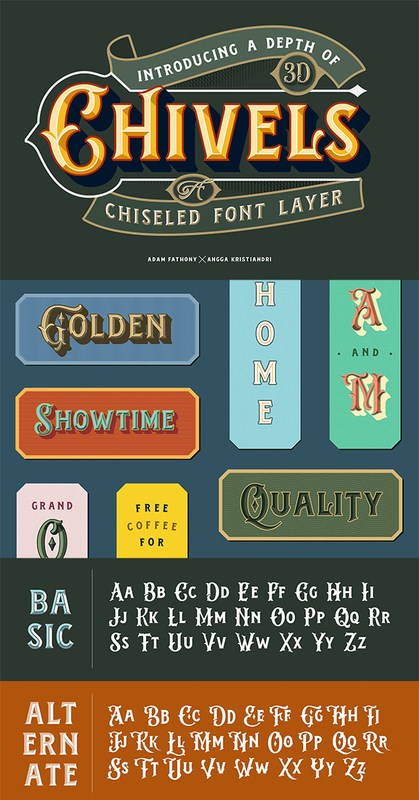 Chivels comes with 6 total fonts that you can combine each other to give different style effect. Starting with a base, you can add more fonts in the upper layer layer with inner, chisel light, chisel dark. and underneath layer you can fill with outline, and shadow. Introducing Rumble Brave Vintage Fonts Packages Lately I am happy to see the design style with its vintage victorian classic. 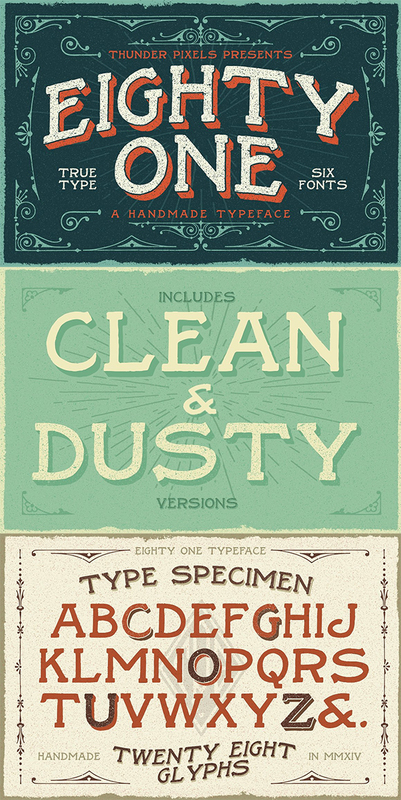 hence from that I launch fonts packages with vintage style. In this packages there are 3 types of letters serif, script and dingbat. The three font combinations I launched are now very compatible if for the victorian classic design concept. As for if the font was worn by itself, without combinations are also brave. A new layered typeface and ornament called Bulges. Inspired from vintage labels design, with bonus vector ornament, greatly complementing this font for use in making Label, signage, title, beer logo, and other creative projects. Create gorgeous, elegant graphics with the Fragile Collection, a collection of three unique, best-selling fonts, each with their own personality, based on classic letterforms and designed for use in headlines, invitations, logos, layouts, and more. With three distinct products, you can always find the perfect pairing or individual font for your next project. Gibson Script is an old time inspired script typeface that pairs perfect with bold, tough type. Absolutely awesome for labels & logos. I started creating typefaces for the use in branding projects and I think that Gibson is the font that my Type Collection was missing. Perfect for use in anything from Branding, Web, Packaging, Etc.Gibson Script is an old time inspired script typeface that pairs perfect with bold, tough type. Absolutely awesome for labels & logos. I started creating typefaces for the use in branding projects and I think that Gibson is the font that my Type Collection was missing. Perfect for use in anything from Branding, Web, Packaging, Etc. Born out of a love for old, grungy logos and strict, bold typefaces, Cache is the perfect font family for all of your logos, posters, apparel, signage, etc. Its authentic vintage look and feel will give you that exact look you’ve been aiming for.